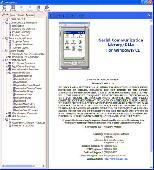 Serial communication component Win/CE library for serial port communications from embedded Visual C++ programs using a Pocket PC (PPC). Controls multiple ports simultaneously. Supports pocketpc 2002, pocketpc 2003, ppc emulator, Bluetooth serial. When creating an application that actively communicates with external devices through COM or RS232 ports, the developer must make sure that the ports will be able to handle any data flow without producing errors and locking up the system. 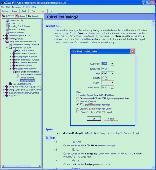 Professional serial communication library - DLL for Windows & MSDOS libraries. Supports ZModem, YModem, XModem file transfer protocols, modems, Microsoft Visual C/C++, Borland C/C++, Access, Visual Basic, QuickBasic, & all tools that can call DLLs. This unique serial port monitoring & data handling solution allows developers focus on their task. It can operate in manual, automatic and spy modes enabling developers monitor all data received from and sent to a COM port. Download FREE trial now!